My best wishes for a Happy and Wonderful Christmas to you all. I hope you had a lovely family get together at Christmas, as we did and enjoy the feast immensely. 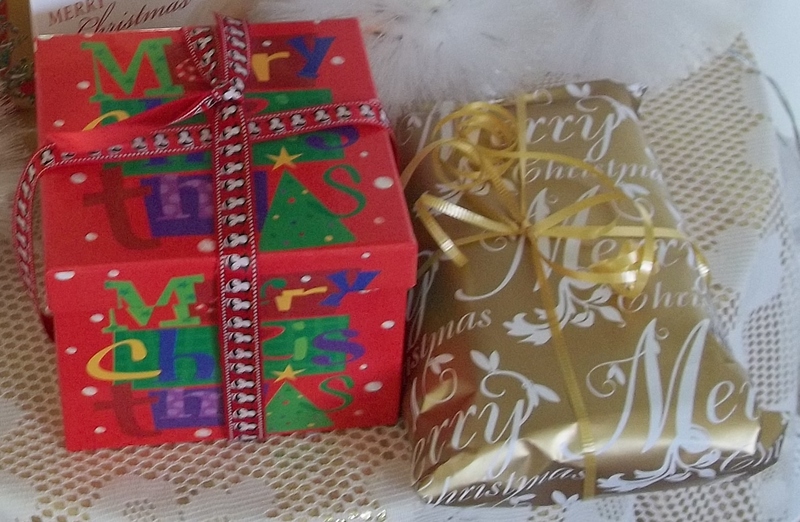 Today is boxing day, I wish you all to celebrate and enjoy. Keep the festivity going, have a very happy boxing day. 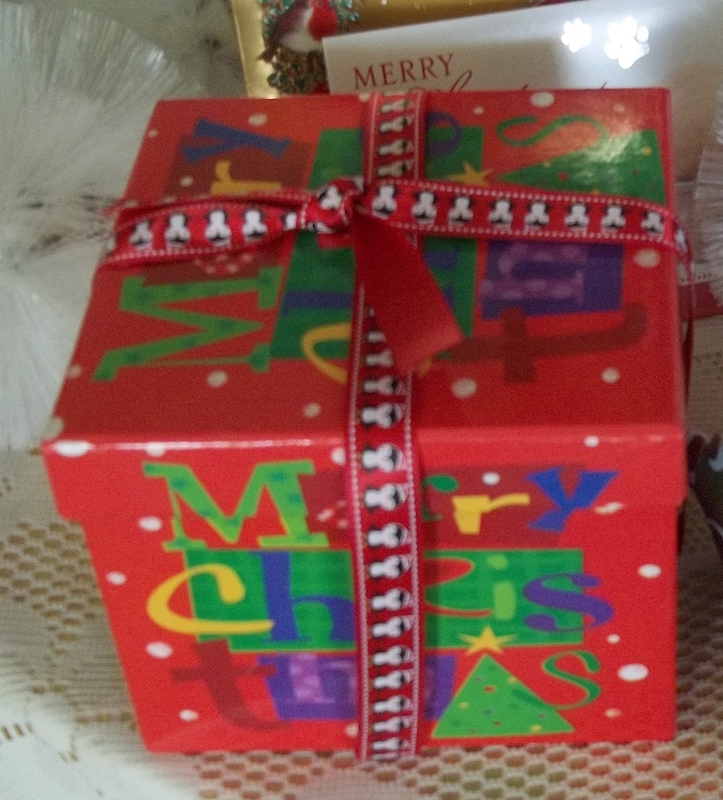 Now is the Christmas week, it is a very busy time. 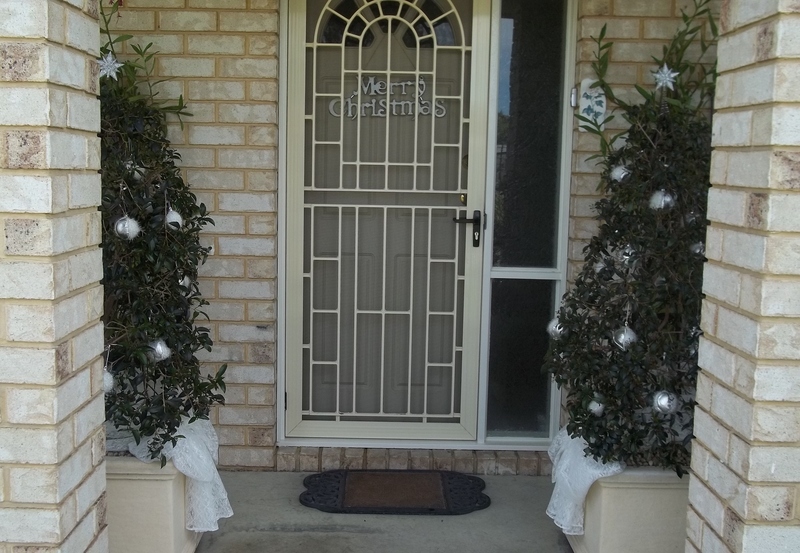 A lot of preparation for Christmas, particularly the one who is going to host the Christmas celebration. This year we will be at Susan’s place-our youngest daughter, she and her partner Tris are going to be our hosts. We are looking forward to it. They both are very good at entertaining people, Susan is a good and excellent cook. We were told that the feast is not a traditional Christmas , this is what she said: I’m hosting Christmas this year and doing a Southern theme, think fried chicken, lobster/prawn po boys, potato salad, grilled corn and peach cobbler and ice cream. Suits the Summer weather and feeds a crowd easy (but doing it with a celebratory touch). I am sure it is going to be a fun and happy time for family gets together. 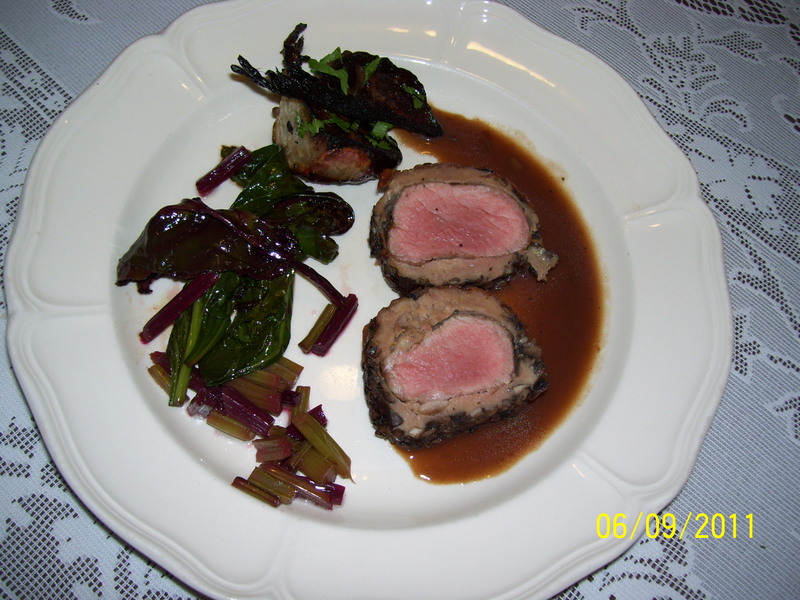 I do not doing any cooking for family Christmas any longer, I will share ideas through this post, and my cooking recipes from the past. 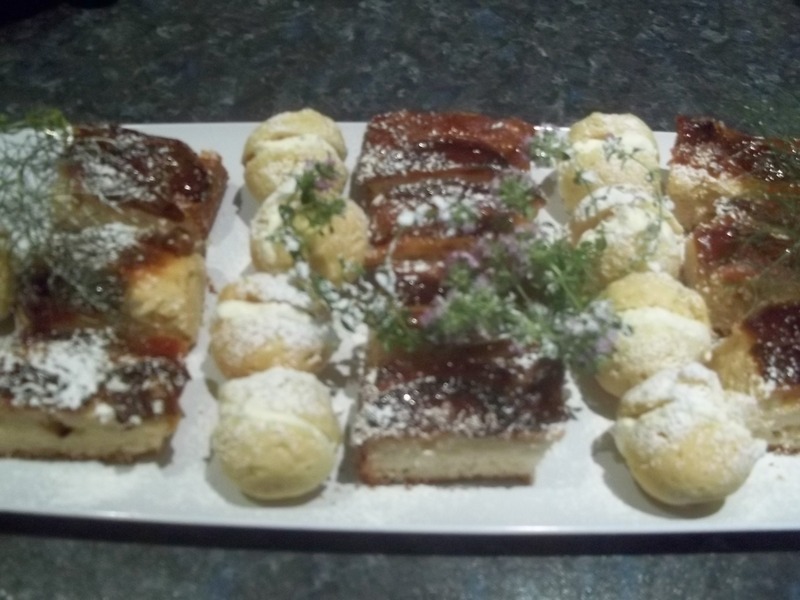 Mini cakes, Scones, Sponges, Oliebollen and Sandwiches. 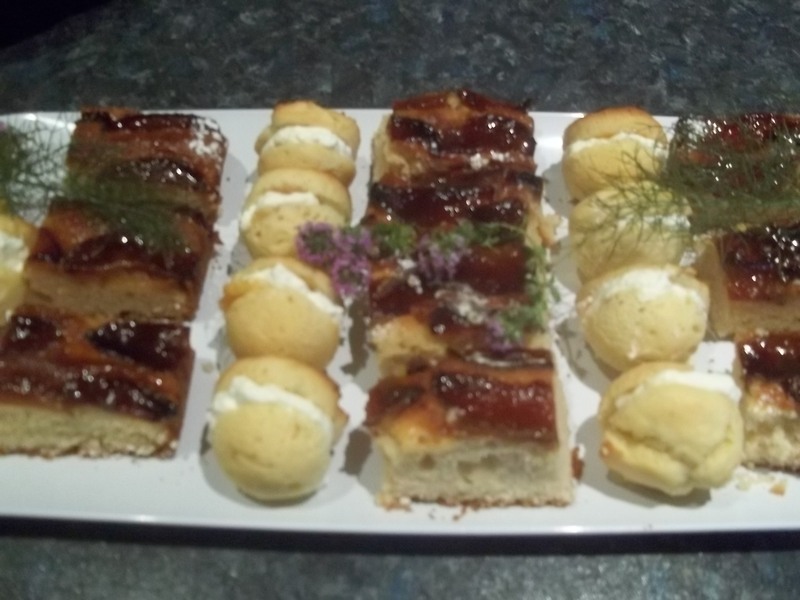 Beautiful platter of mini cakes to share with people, or simply enjoy with family and friends. Prior Christmas you may have visitors to catch up, and these delicate cakes are perfect for the occasion. 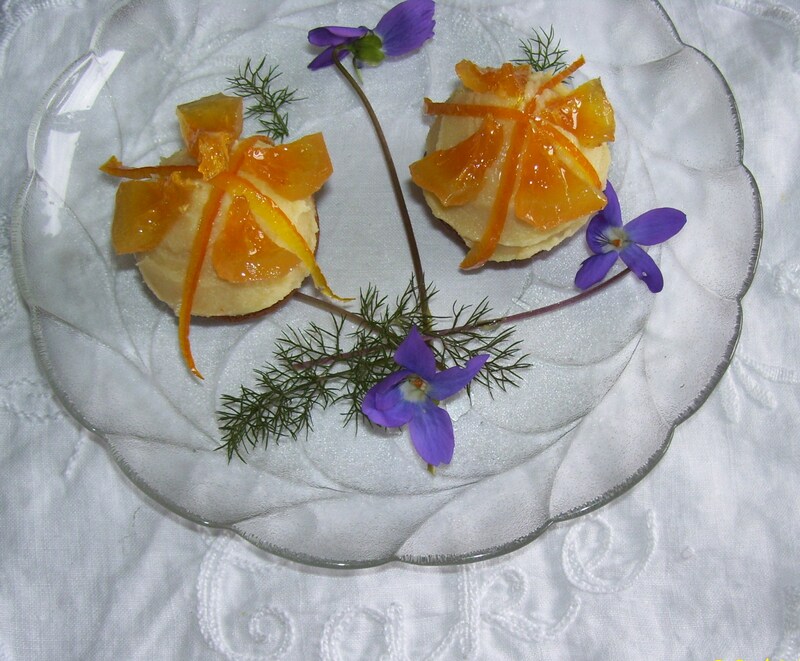 Mini cake with white chocolate topping and shredded orange-glace orange, and almonds on top. 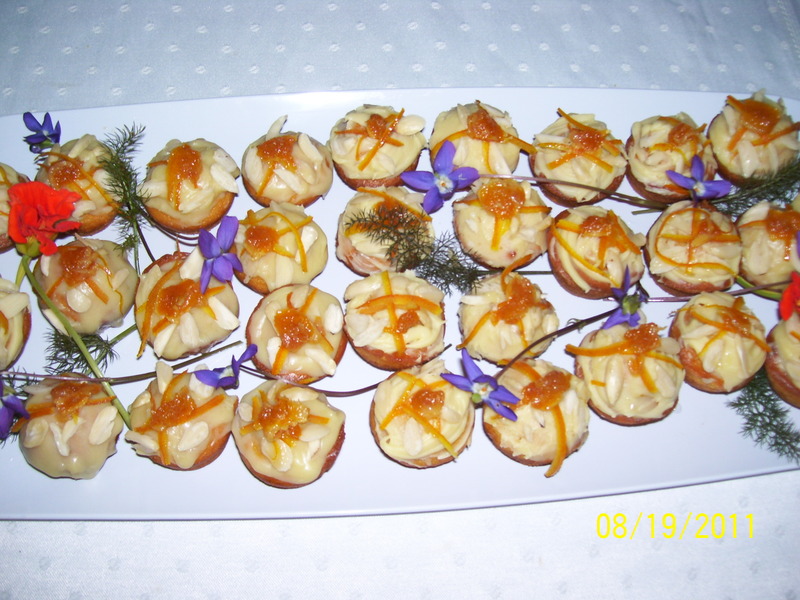 Collection of small cakes are perfect to serve a crowd. 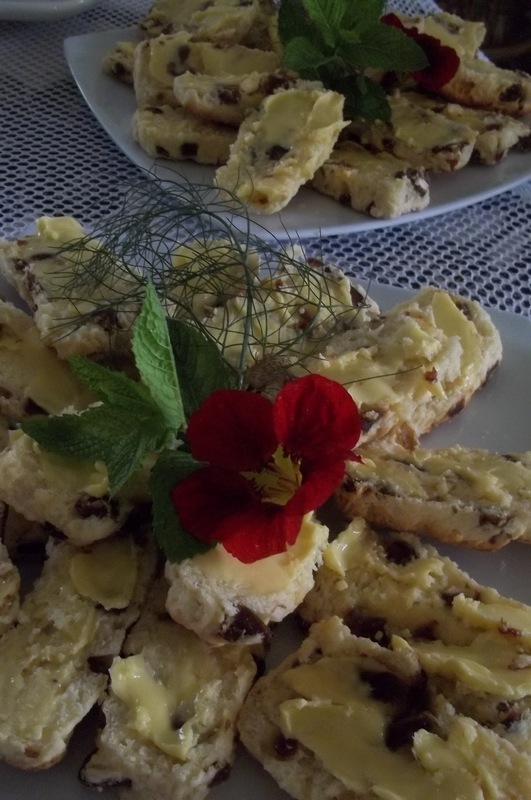 Scones are always the favourite for morning or afternoon tea. 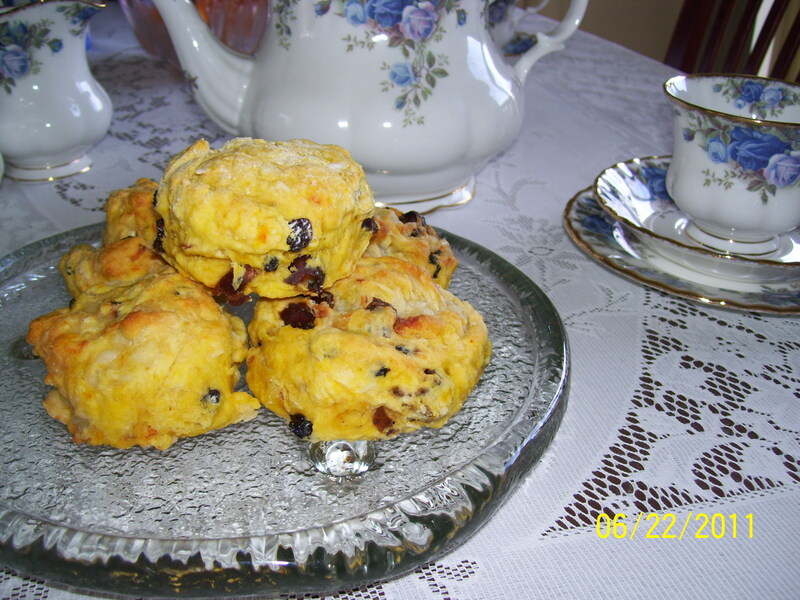 While you are waiting for the children to come home, or having friends over why don’t you bake scones; plain, or fruit scones. 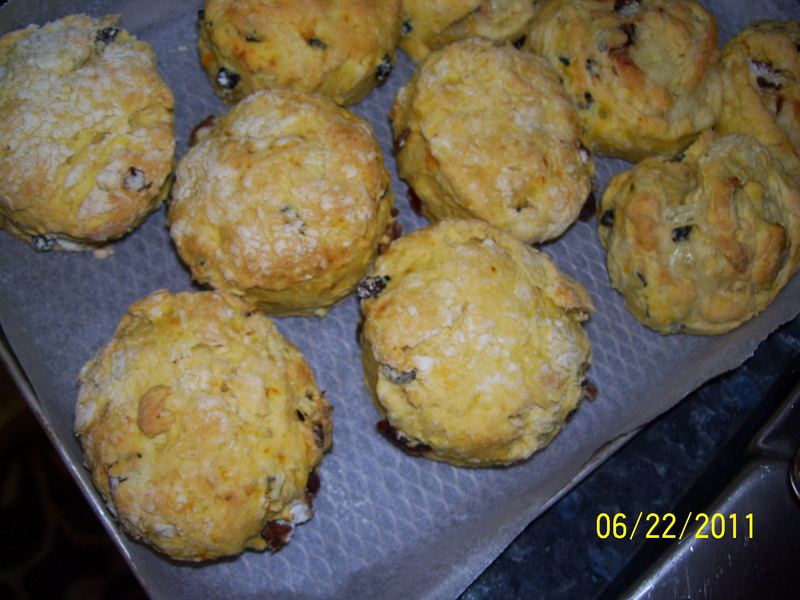 It is very pleasing to serve freshly baked scone, and is always a winner. 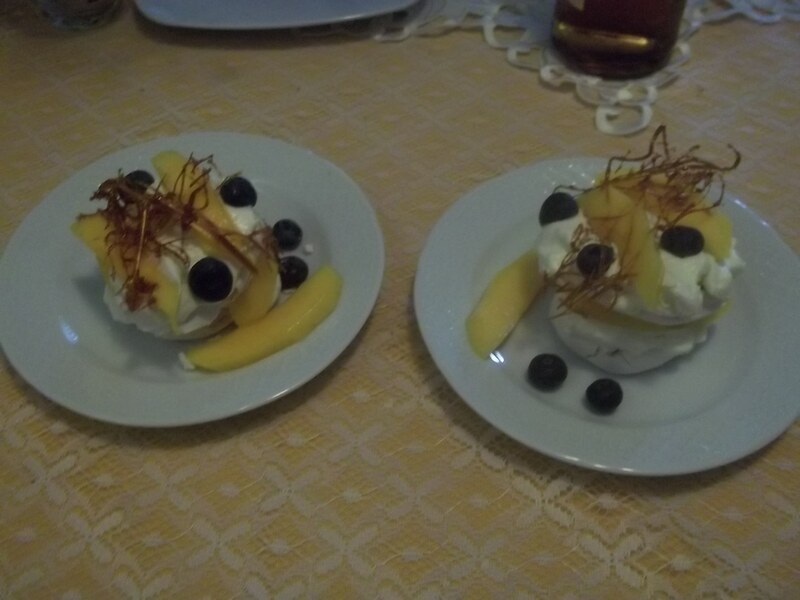 It is a sweet delight, which is very popular in the Netherlands. 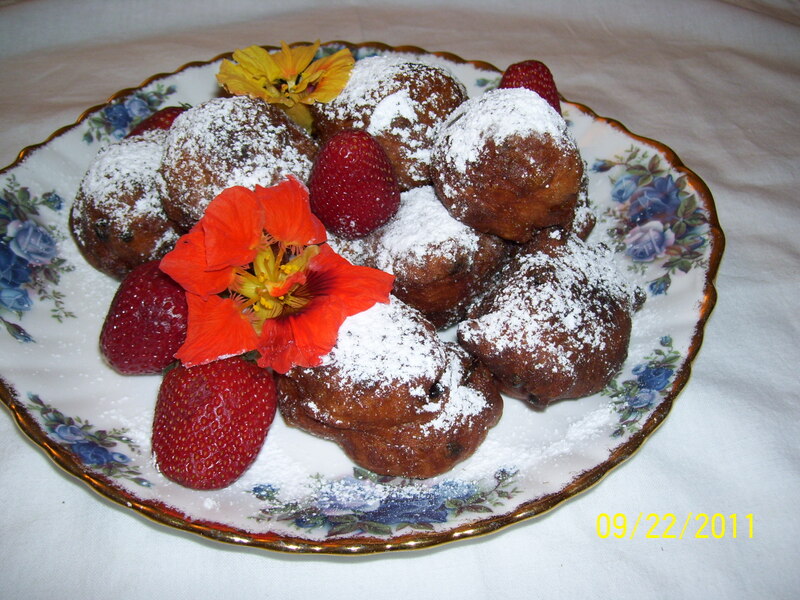 Oliebollen is a Dutch Delight, the family treat. It is served warm around Christmas and New Year. I enjoy this sweet with black coffee. 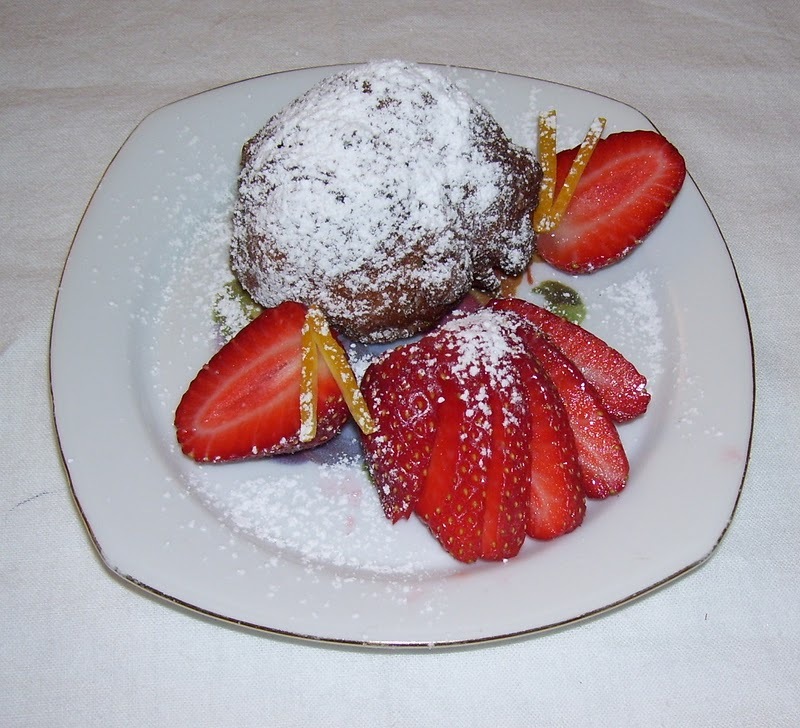 It tastes similar with doughnuts, but lighter and richer because it consists of dried fruit and egg. You will also need an ice-cream scoop and a simmer. 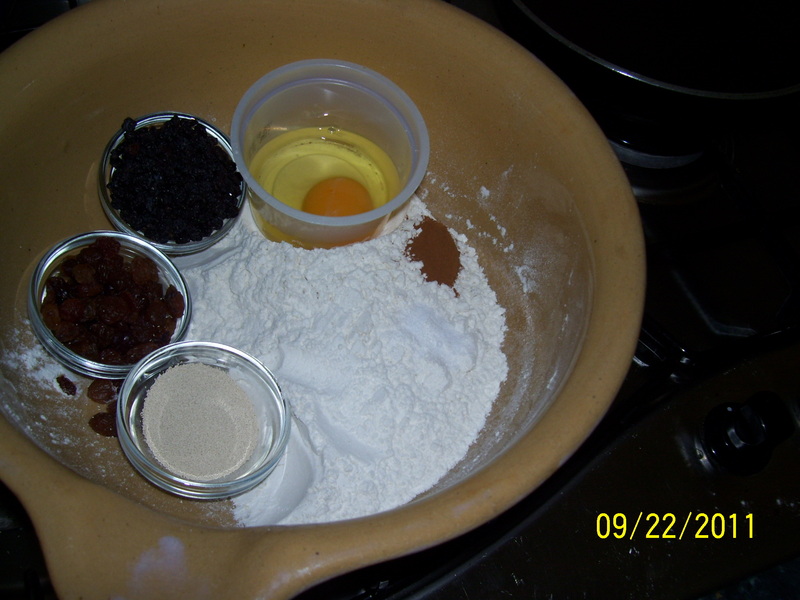 Mix together the flour, salt and cinnamon in a large mixing bowl. Make a well in the centre and bread the egg into it. Add a little more milk and stir to form a smooth batter. Leave to rest in a warm place until it froths. 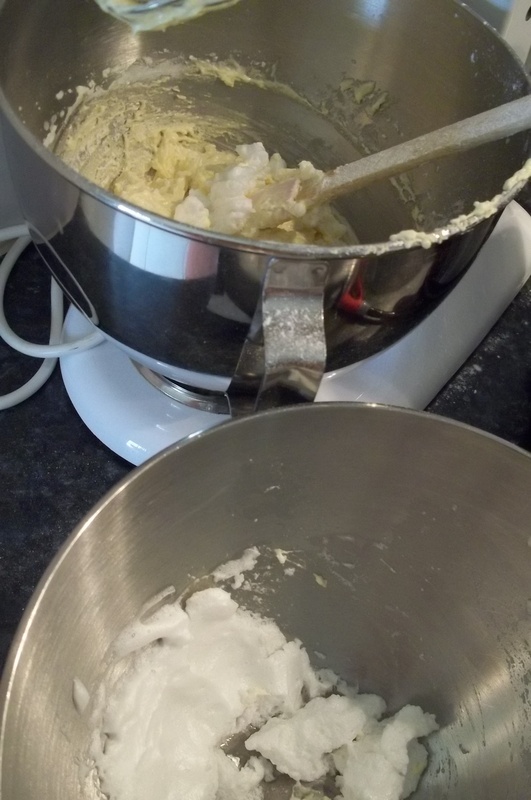 Melt the butter in a saucepan, add the rest of the milk to the melted butter. Mix in the syrup. 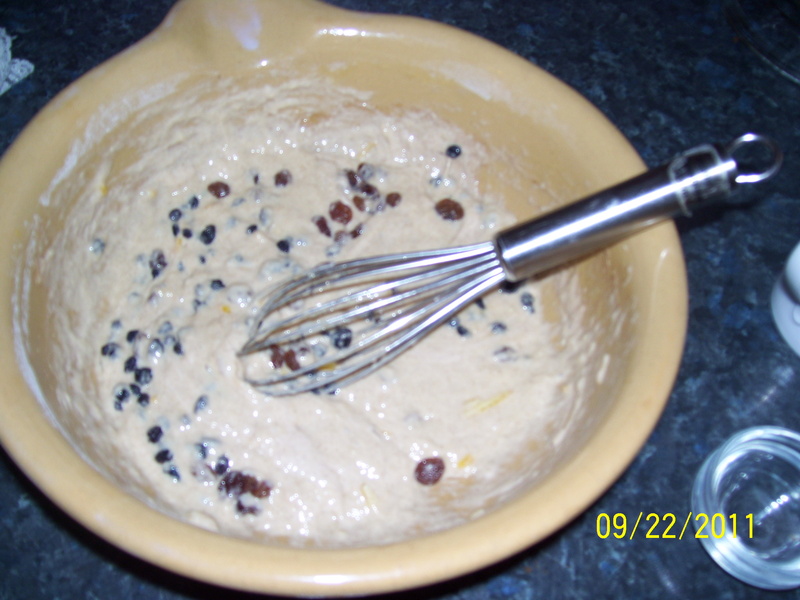 Now add this mixture to the batter and mix until smooth. 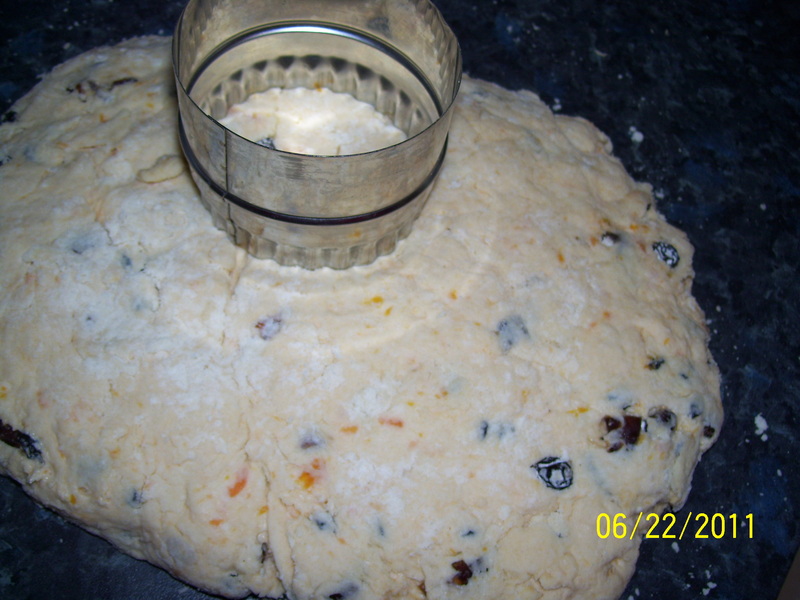 Add the currants, sultanas and grated lemon rind. 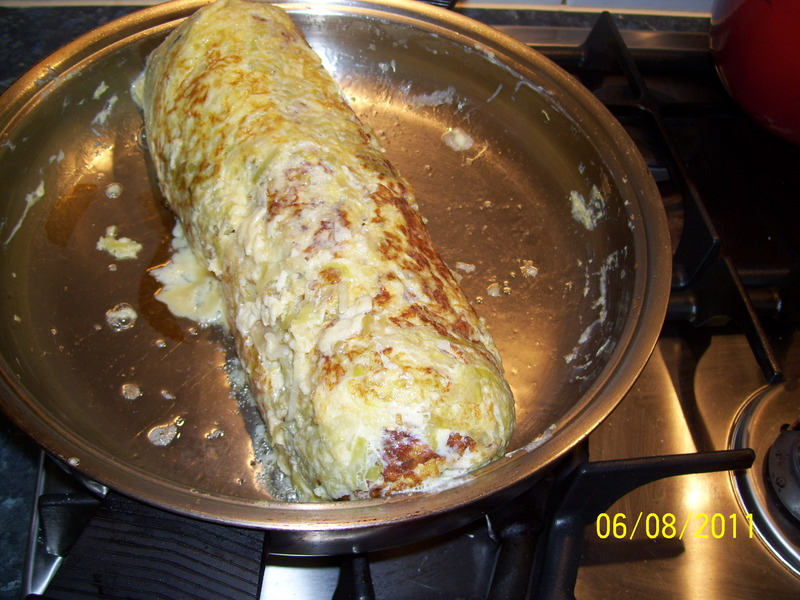 Cover the batter with a damp tea towel and let it rise to twice its size. Heat enough oil to completely immerse the olibollen. Stir the diced apple into the batter. Fill an ice-cream scoop with the batter and gently slide the batter into the oil. 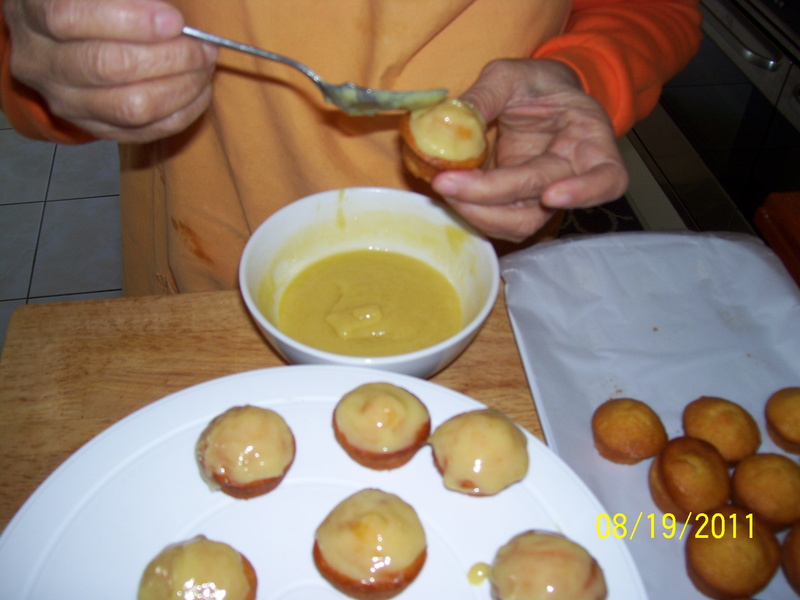 Test the temperature of the oil by first frying one oliebol until golden brown all over. Fry the remaining batter on scoop at a time, taking care the the oliebollen do not stick together. Let them drain on absorbent kitchen paper and serve sprinkled with icing sugar. 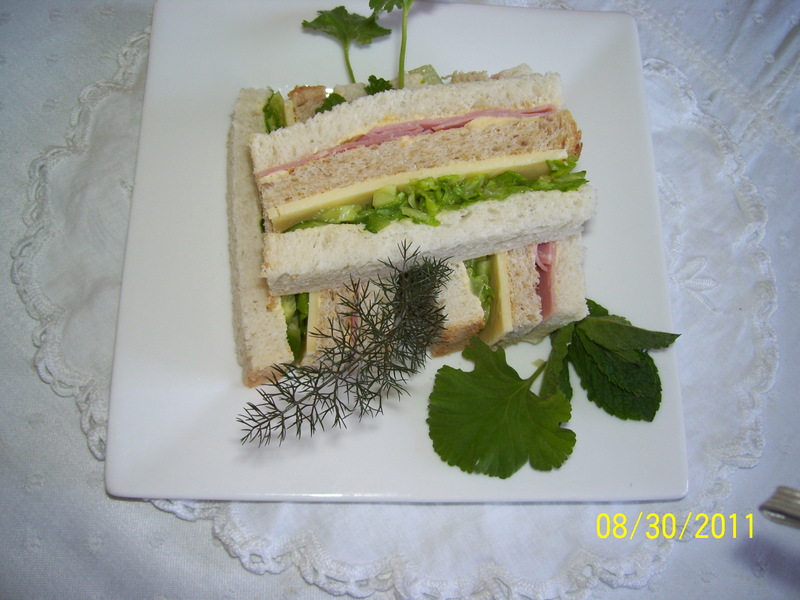 Sandwiches are easy to prepare, and always delightfully acceptable in any occasions. For busy people, this is my suggestions, prepare them the day before, assemble the sandwiches with filling without any green or salad and freeze it. In the morning thaw slightly, cut and trim the crusts. Put in a platter garnish with any green or edible flowers. Now, we are talking, home baked cakes and sponges. They cannot go wrong. Baked sponge freezes well. When you need it, it is there for you already, what you have to do is only to dress it on the day. Dressed sponges for Christmas break up. They looked festive and people liked them. 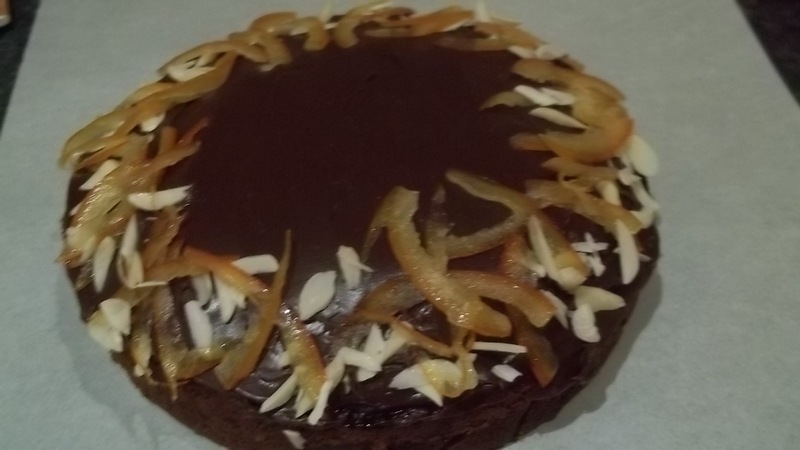 Chocolate cakes with nut and shredded glace orange peel topping, any one loves chocolate cake. 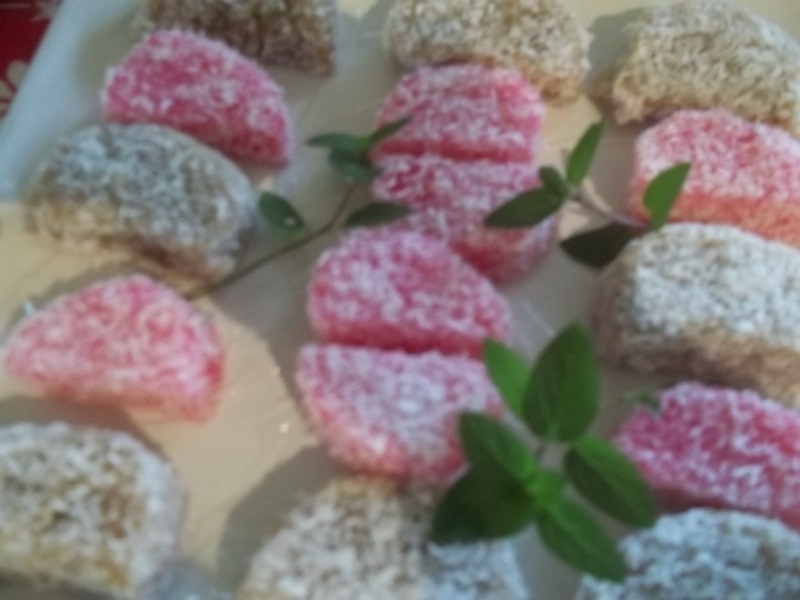 Wajik is a sweet cake made out of rice, coconut and sugar. It is a traditional sweet from Java. This is the recipe for you. Put the rice in a cooking pot, add 1 cup water, and desiccated coconut. Cook over medium heat (without a lid) until the liquid all absorbed. Add in the sugar, salt, vanilla sugar, oil and the food colouring, stir and mix, makes sure it wont’ get burn. When the sugar all is dissolved and the liquid has absorb by the rice, put the lid on. Then reduce the heat at a lower setting. 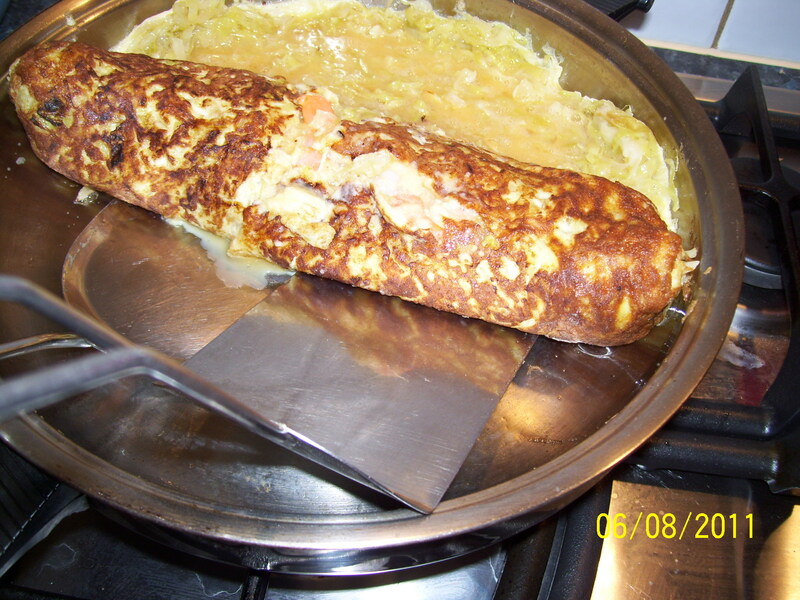 Cook for 8 – 10 minutes further. Let it cool. 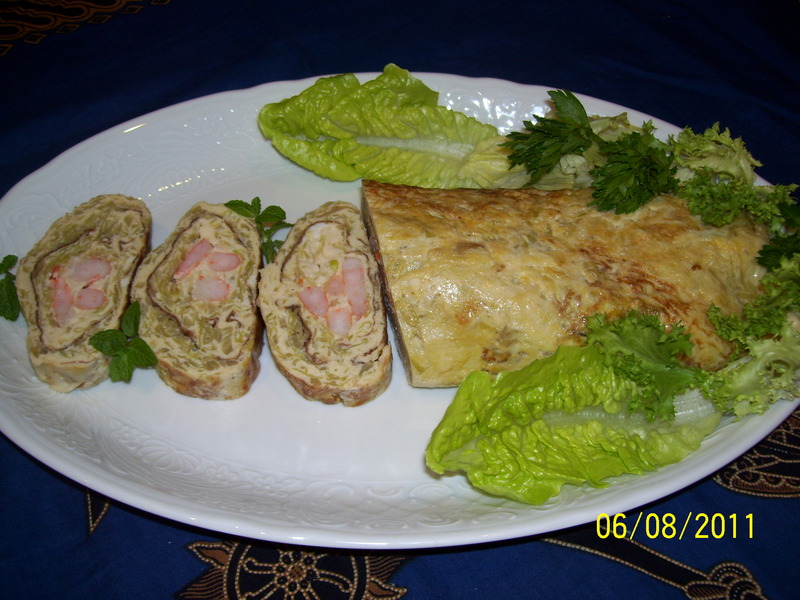 One of egg dishes from Java – Telur gulung, it is filled omelette roll with prawns, sliced to serve as a garnish or a part of banquet. Pork is one of our family favourites. 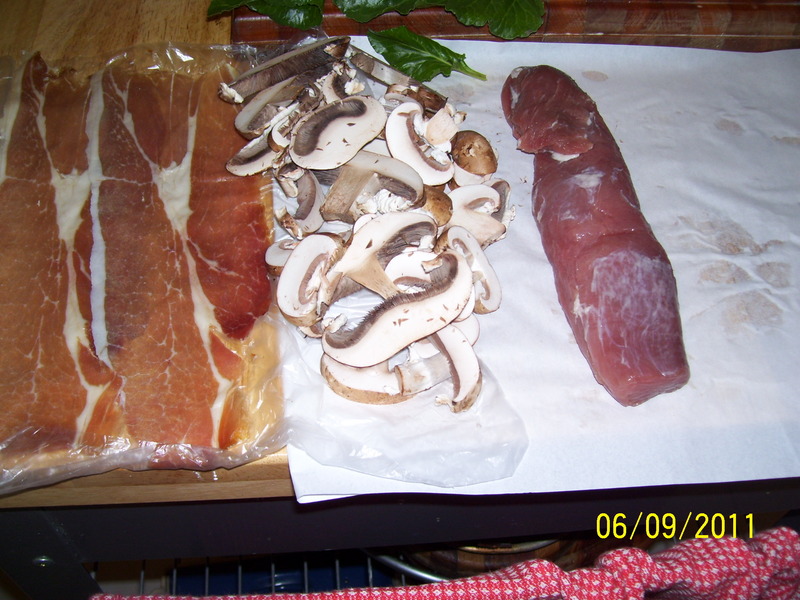 This is a fine cooking using pork fillet, it looks good, and the taste is great. 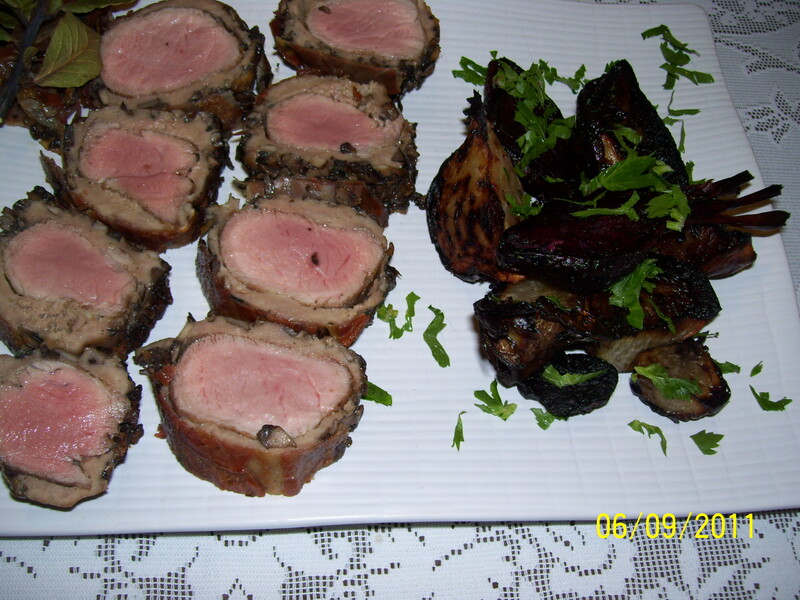 A very good summer cooking, a delicious dish – fillet of pork which is cooked over the stove. Serve in a platter and everyone can help themselves. Cook the whole bird in a fragrant broth, to get the best flavour of the chicken and even better as it has rich flavourful herbs and spices. The spices for this Soto are turmeric, garlic, onion, ginger, lemon grass, freshly ground white pepper, and kaffir lime leaves. 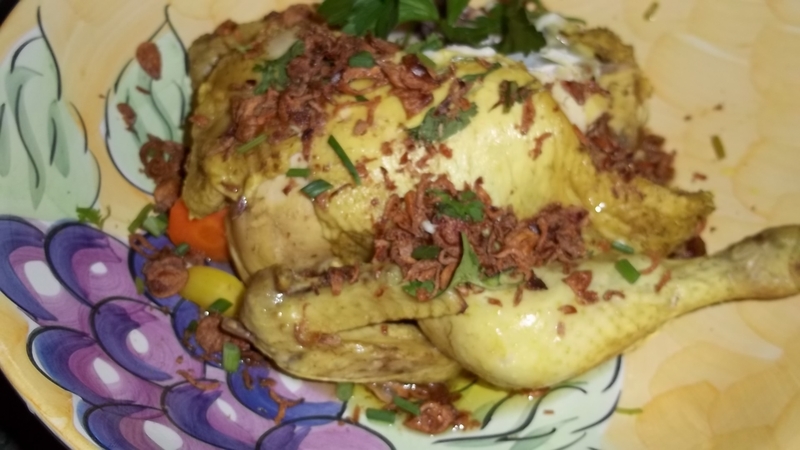 A dish that bring people together, a flavoursome, rich and fragrant. Use a large and deep pot; sauté the herbs and spices with oil over medium heat for 2 minutes, keep on stirring to make sure that they are not burnt. Keep the pot over very low heat until serving time. 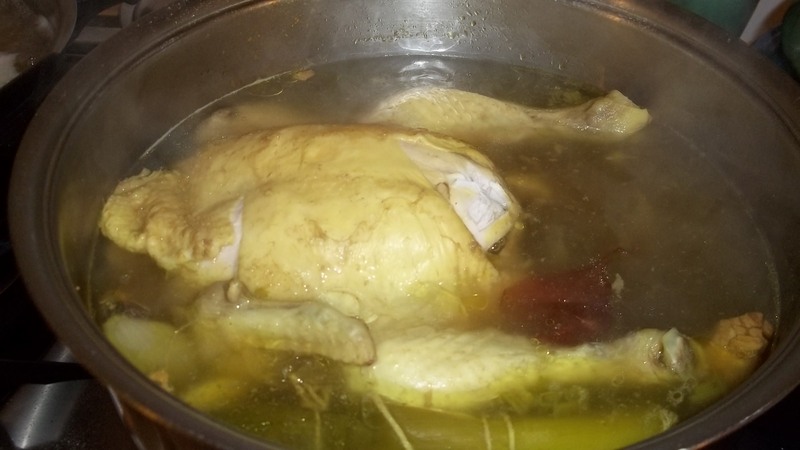 While you are cooking the chicken in the broth, prepare or cook the garnishes. 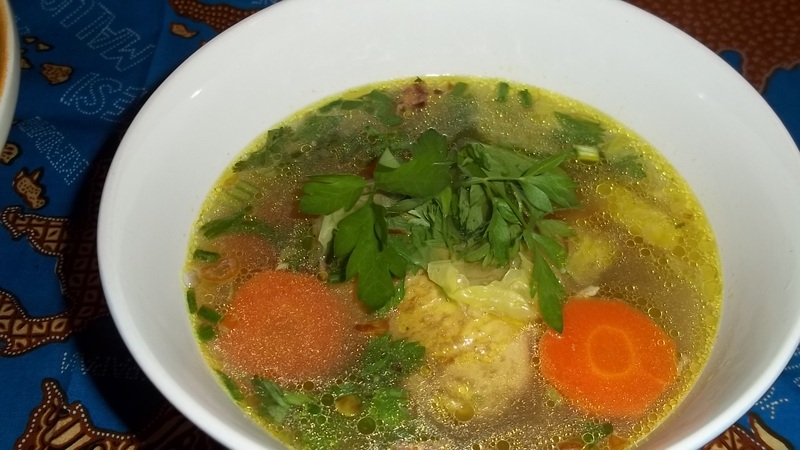 Bring these dishes to the dinning table, and place the pot broth in the middle and surround bey the chicken, vegetables, rice and garnishes. Put bowls to serve, let every one helps themselves to create their own soup. Start putting the steamed rice on the bowl, add the meat, vegetables and the garnishes, and ladle the fragrant broth over. Let the guest decide to help lime or lemon for the Soto. A dish that brings people together indeed, while the guest preparing/creating the soup they can talk to catch up or to get to know one another. 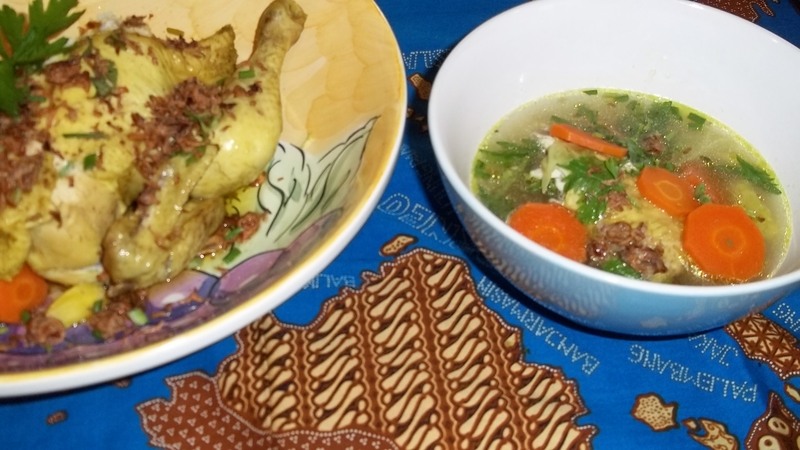 Delicious curry Javanese style or gulai kambing, a goat meat curry. Australia has the best lamb meat in the world, to celebrate a lot of dishes are cooked in my kitchen, and of course the gulai is one of them. Using the lamb shanks for the gulai is so perfect, the long braising with complex spices and rich coconut milk made the meat deliciously flavoursome. A type of food containing rich, spicy, curry-sauce. Grind those herbs (except the lemongrass, kaffir lime leaves and salam-leaves) and spices to make a very smooth paste. Use a mortar and pestle or a food processor. To keep it better, place the paste in a jar, top it up with oil, refrigerate! Other ingredients: stock, water, coconut milk, sugar, and salt. Fried shallot to garnish. To use the spice paste. Pan fry or sauté the paste with oil until fragrant, add some sugar (coconut sugar) or brown sugar and also some salt. 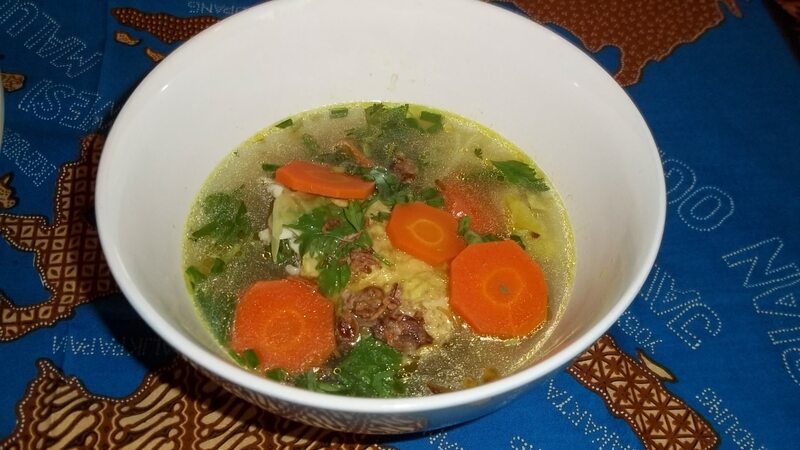 (It has to be cooked for a few minutes, so all the spices release the flavour, and then you could add the main ingredients; vegetables (for vegetarian gulai) or any meat, which has been sealed properly. Stir and add stock or hot water, braise at least for one hour (a half of the cooking time), then add the coconut milk, continue braising over a very low heat. 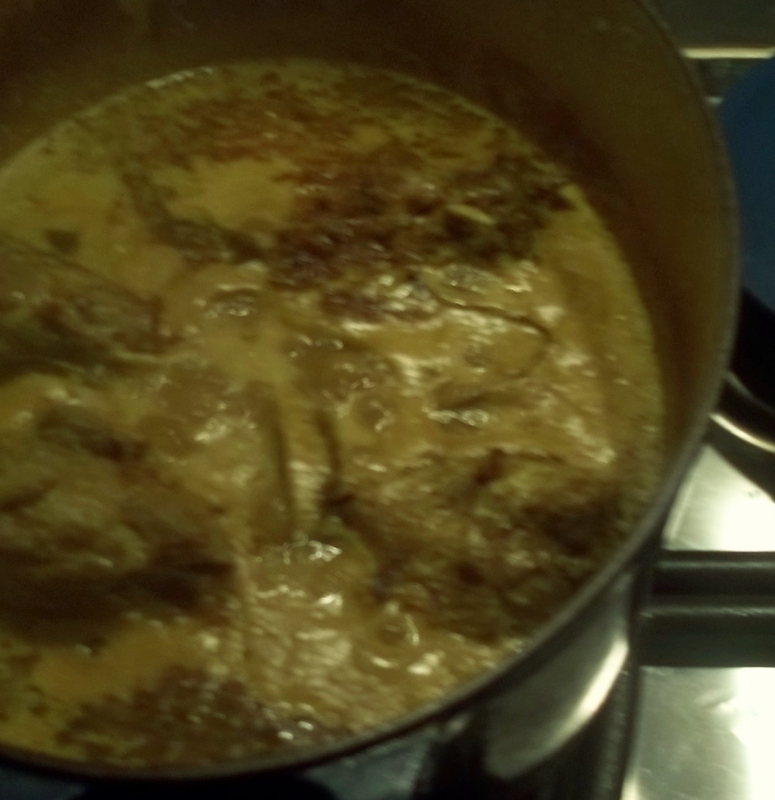 Traditionally the gulai use all the cuts of the goat, and braised for a long time until it is tender. Any cut of the lamb can be braised for the ‘gulai’, but I prefer using the leg of lamb, it is a very delicious food to be shared for a special occasion. 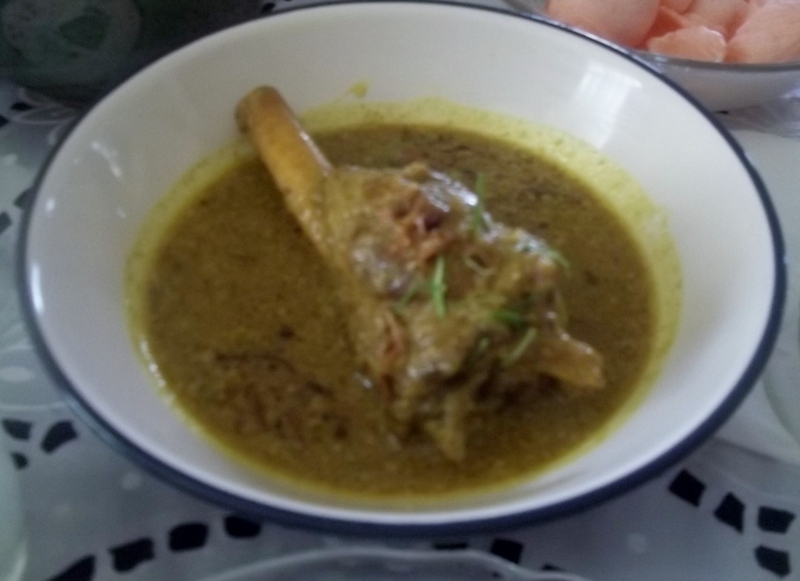 Recently I cooked lamb shanks for the curry (gulai) and it worked beautifully, the recipe is here for you. Herbs: 5 kaffir lime leaves, 1 lemon grass. Juice of a lime. Spices: 3 cloves garlic, 2 large shallots (or a small onion), a slice of fresh ginger and galalangal, some kencur (can be purchased in Asian grocery stores), 1 heapful tablespoon of turmeric powder, 1 teaspoon coriander seeds, *1 teaspoon ginger powder, 1 teaspoon chilli powder, 1/2 teaspoon cinnamon, 1/2 teaspoon cloves powder, 1/2 teaspoon nutmeg, 6 candle nuts. Grind the coriander seeds, and mix with all spices, put in the grinder or food processor, process them to make a smooth paste. * I use both ginger powder and also fresh ginger, you cannot omit the fresh ginger, but you can go without the ginger powder. Salt, sugar (brown sugar or coconut sugar) about 2 teaspoons each. 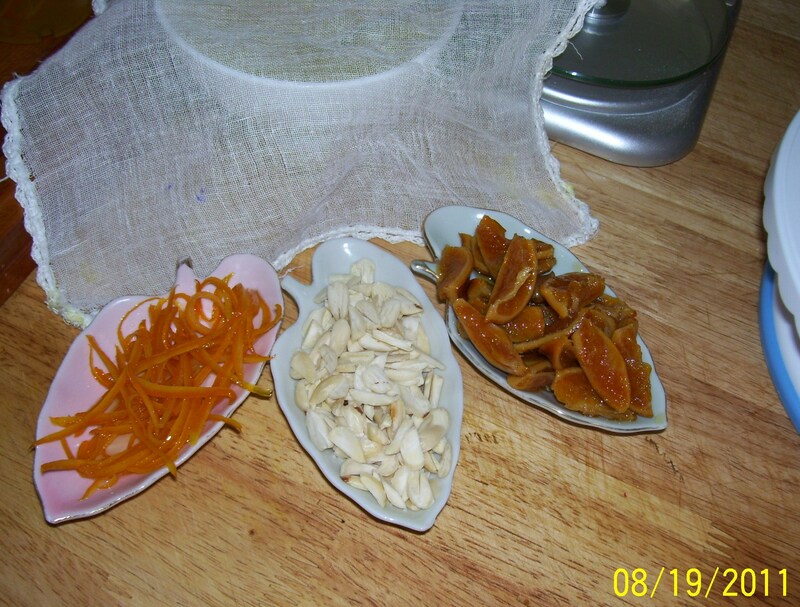 Fried shallot and fresh chopped parsley or coriander leaves to garnish. In a heavy based pot, fry the spice paste with oil until fragrant, add in the fresh herbs, the juice of a lime and the shanks, stir and let it cook for a few minutes. 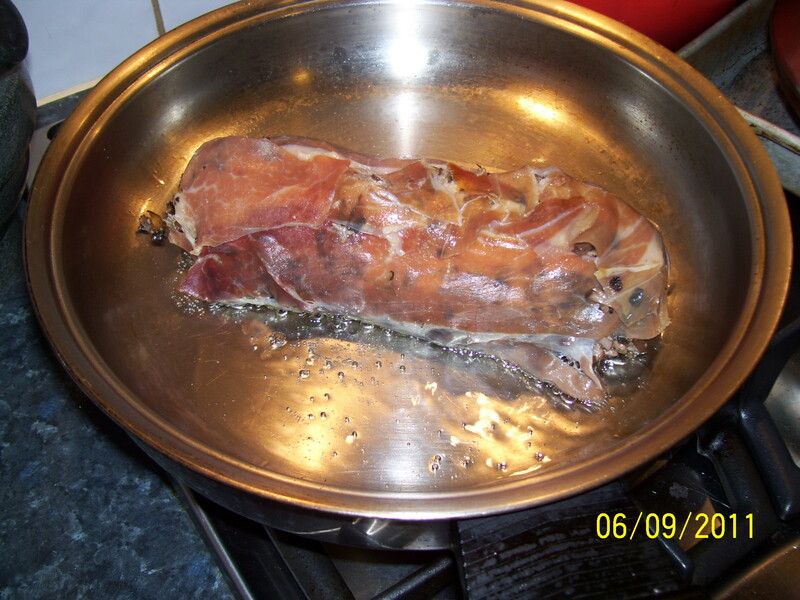 Stir in the water or stock, and add in salt, sugar, cover the pot and cook to braise for one hourover medium heat. At this point add in the coconut milk and continue cooking for one hour over low heat. The shanks are very tender and juicy in a rich and golden spiced coconut sauce. Sweets to end up a beautiful meal, sweets to close for the festive feast. 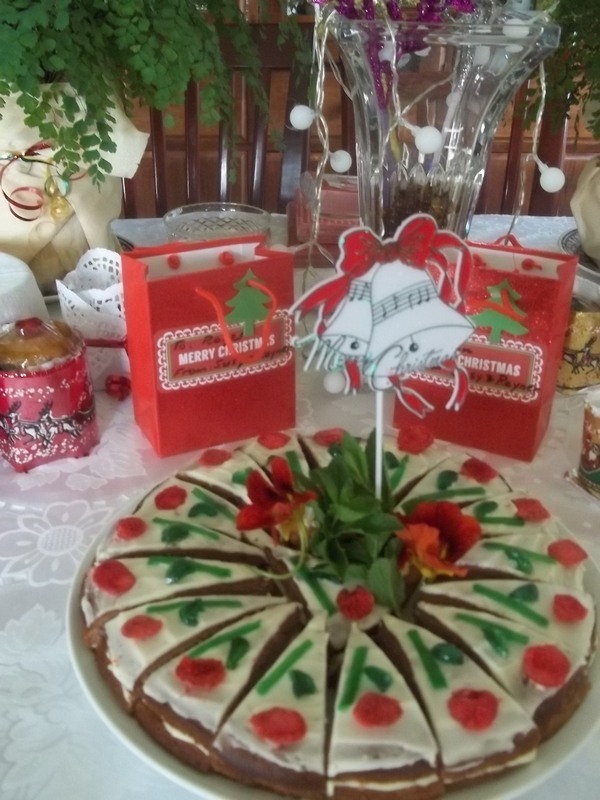 Christmas cake is served at Christmas, most of the time families have no chance to serve it, after the big feast people have no more room to enjoy. May be small light dessert is better. 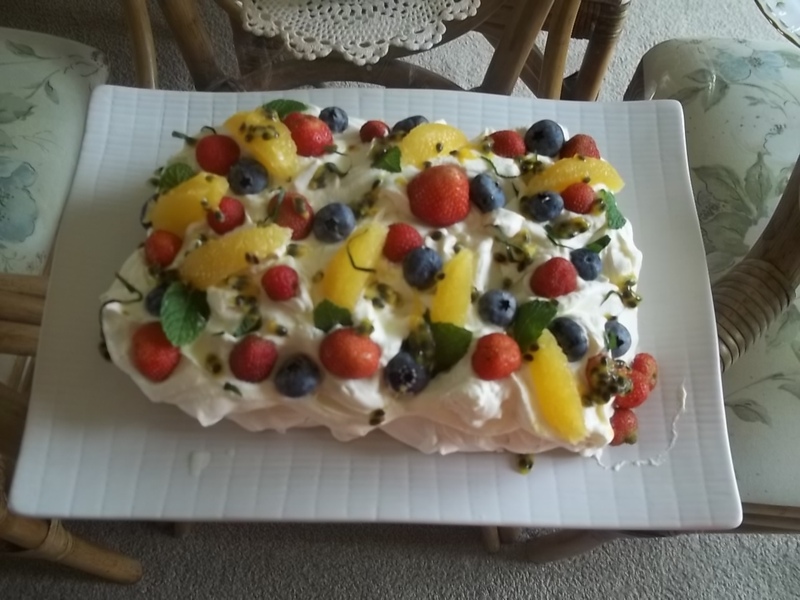 Pavlova the famous Australian sweet may be the best as it has fresh fruit topping. Light cake dressed in Christmas colour instead of fruit cake is better after the big feast. Last but not least, I wish you all a very happy and enjoyable Christmas. Thank you for your supports, your comments and encouragements to my posts. 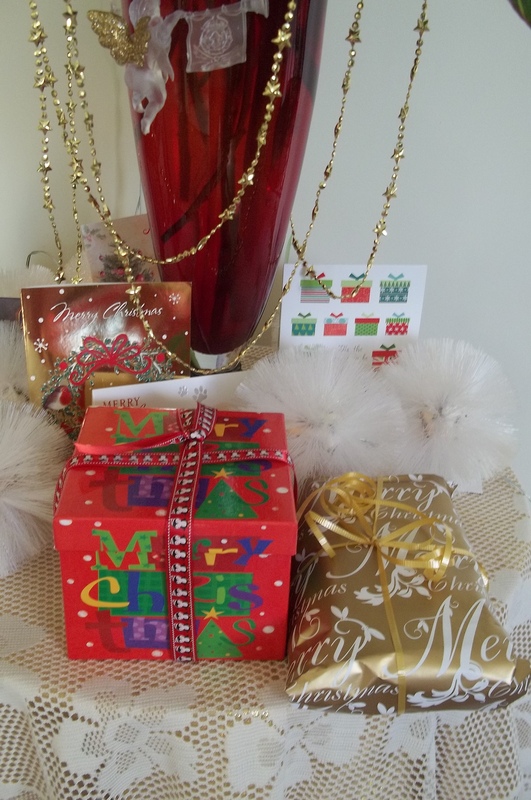 I will be back next year, once again ”Happy Christmas 2014 and Happy Feasting”. I did it, I baked sponge cake with only an egg successfully. 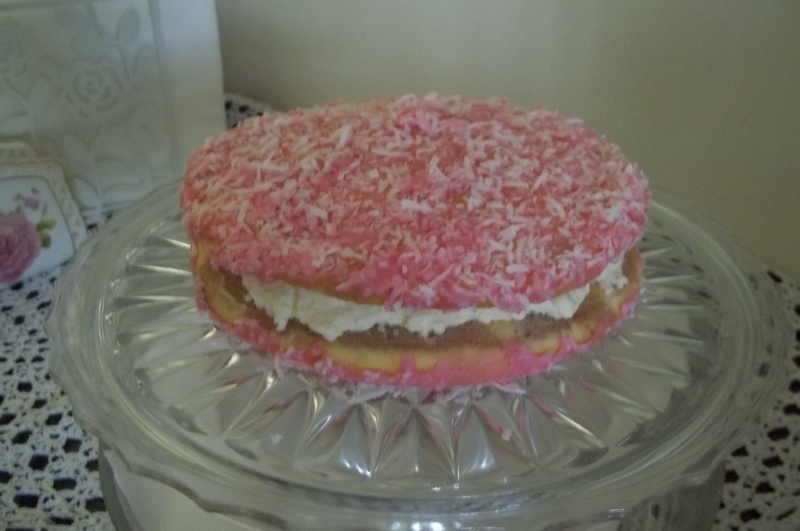 After doing a lot of reading about how to bake sponges, I found information which led me to create a one sponge cake. 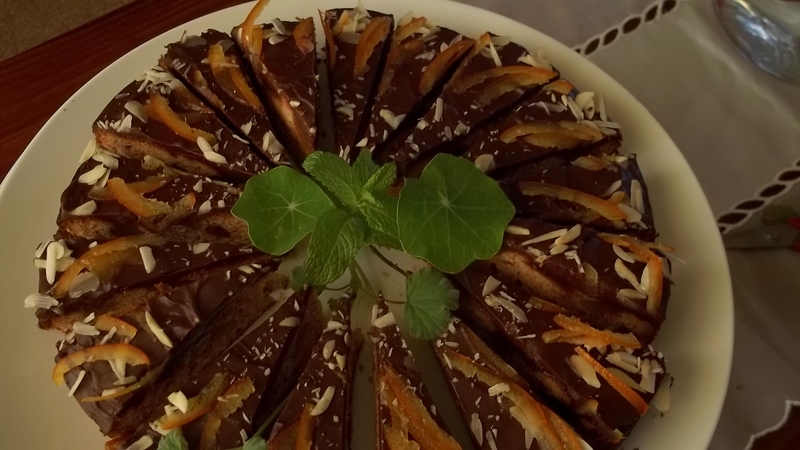 I am very pleased and happy to share the recipe with you all. 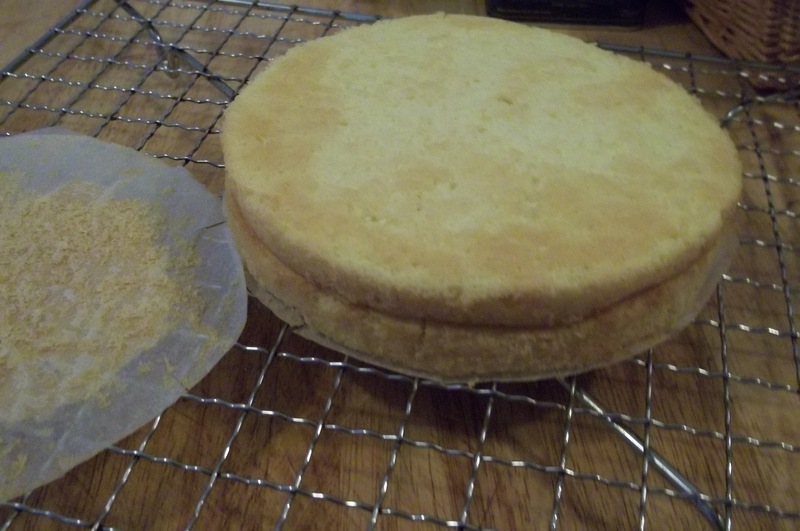 Freshly Baked One Egg Sponge on a cooling tray. Place the egg yolk, sugar and margarine in a mixing bowl, mix and beat them until light and fluffy, about 10 minutes. Freshly Baked One Egg Sponge. It is sitting on a cooling tray, and when cold, it is ready to fill with whipped cream and topping. The other one egg sponge recipe : plain flour 2/3 cup flour add with 1 teaspoon baking powder, sift these ingredients a few times. Beat the egg white until stiff., keep aside. 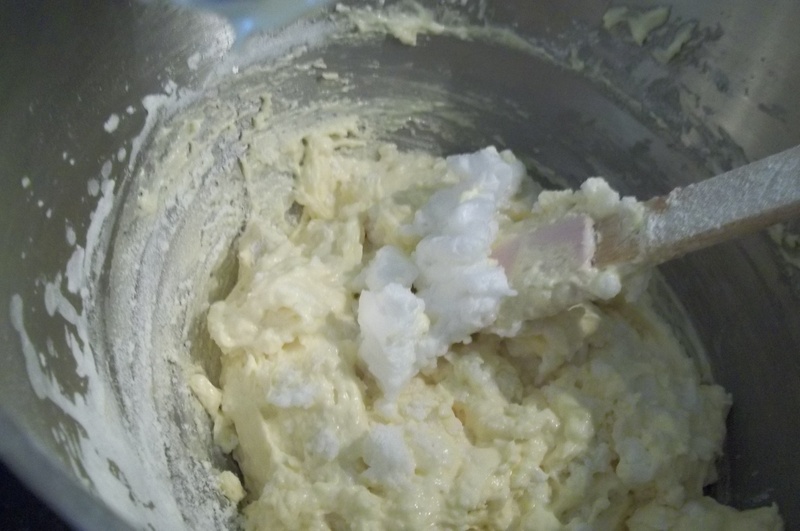 Beat 1/3 cup sugar, the egg yolk and one table spoon butter or margarine until light and fluffy. Adding three tablespoons water while mixing the egg mixture with the dry ingredients, and fold in the stiff egg white onto it. Bake in a slow oven, in my oven it takes 16 minutes at 150 degrees C for 16 minutes. 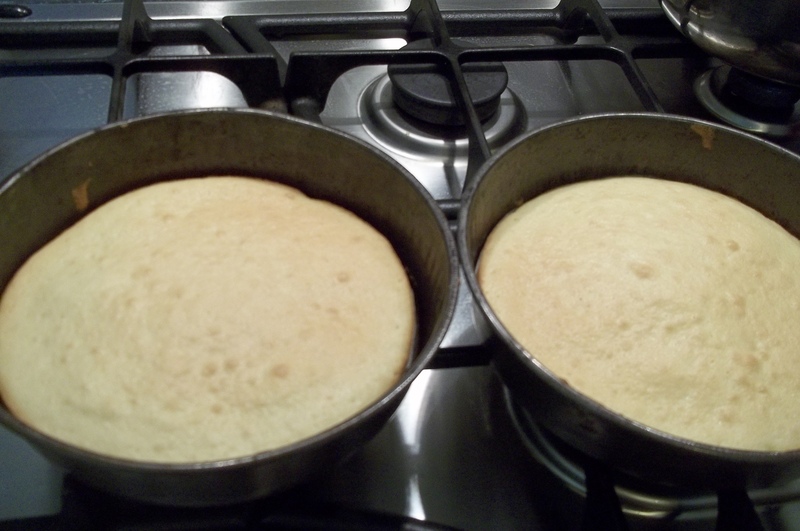 The total weight of the sponge batter was 274 gr, divided onto two sandwich tins. The sponges were very thin. 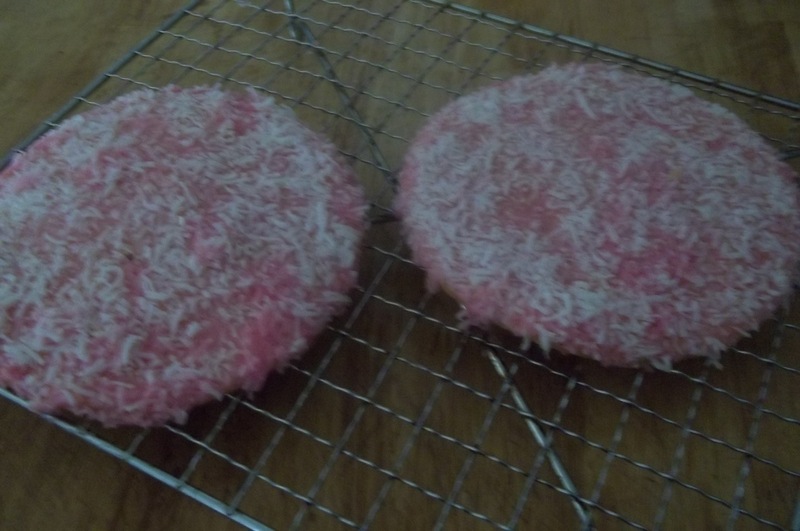 I put pink icing and desiccated coconut on top, and I will serve it as a round lamington, by joining these sponges with whipped cream. At present both sponges are sleeping in the freezer, when we are ready to have them, I will dress them and serve to the family and friends. I hope they cut well and taste good. I will show the picture when the sponge is dressed, I will let you know what it tastes like. Stay Tuned. 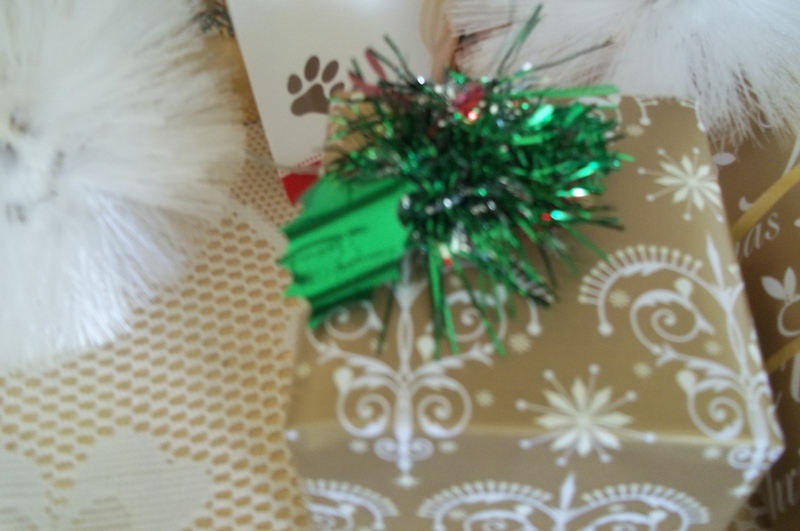 Today 19 of December 2014, I took the sponge from the freezer, I is thawed and dressed. It looks good. First I drizzle the cakes with cherry liquor on each side, spread some whipped cream. Cut to serve. I tasted it and it was yum. 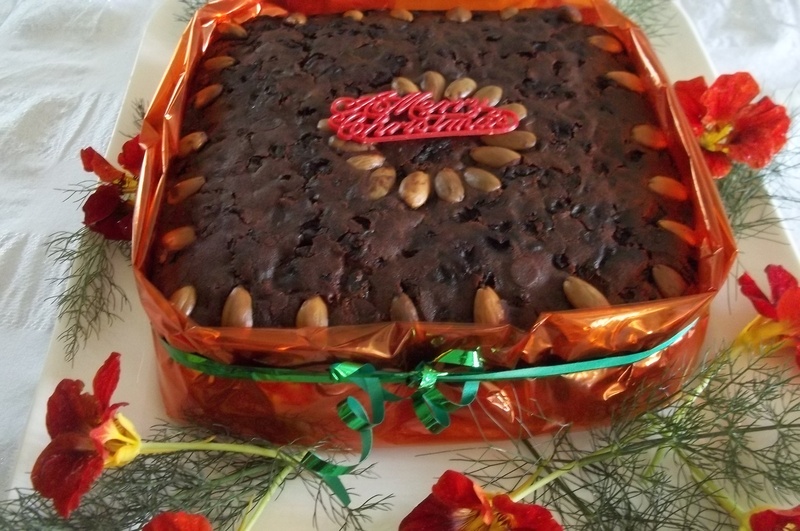 The cake will keep well refrigerated specially it added with cherry liquor. 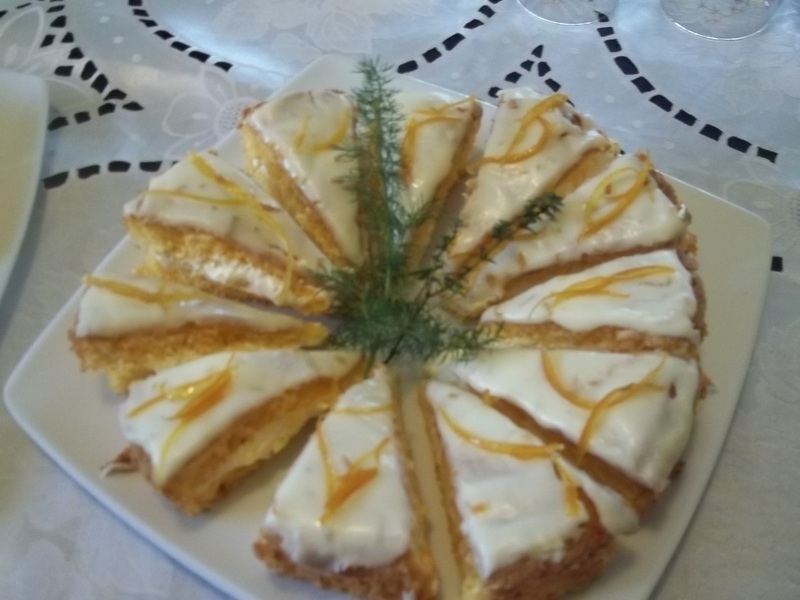 It is good, just in case friends stop by I could offer them a slice to go with tea or coffee. 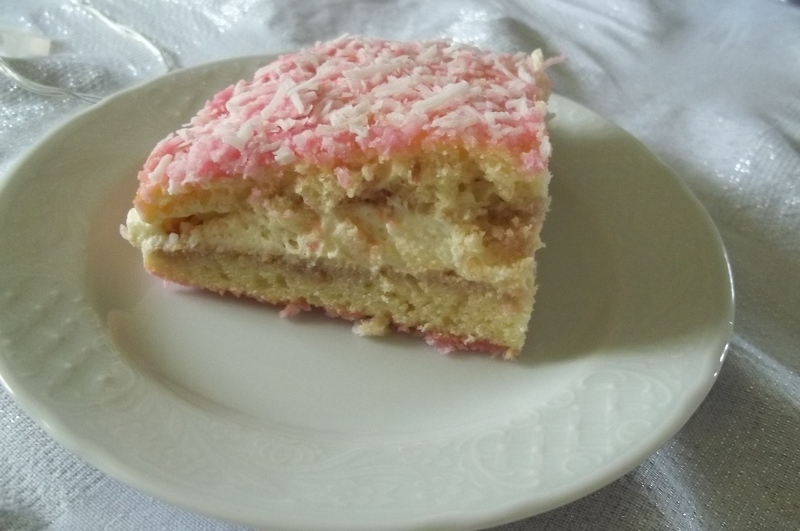 If you love cake with less egg, it is the one, give a recipe a go. Dress as you like it. Have fun and happy baking.